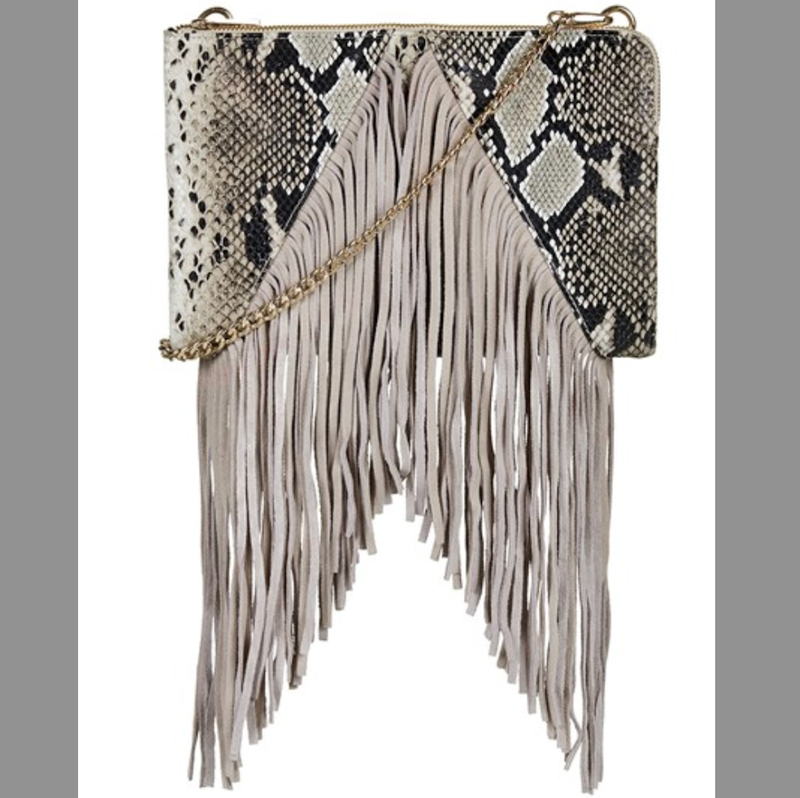 Slender strands of faux suede sway from a clutch crafted from snakeskin-embossed faux leather. A gleaming golden chain completes the eye-catching look. Shoulder chain with lobster clasp closures.